Land and water. These finite and precious resources are infinite in their power to evoke connection, community and a sense of place and wonder. Those of us fortunate to live or vacation in northern Michigan have experienced firsthand this region’s calming beauty, pristine natural habitats, rich and productive farmland, coastal dunes and clean water. This spectacular combination of land and water has provided the backdrop for countless hours of recreation and relaxation for people of all ages and walks of life. Your gifts to the campaign will be your legacy, preserving a landscape that will offer joy, recreation, solace, clean water, secure local food sources, and connection to the land and your community for generations to come. The breathtaking views of Lake Michigan from the towering Arcadia and Elberta Dunes, the dozens of bird varieties that migrate to the restored Arcadia Marsh, the peaceful trails that snake through the Timbers Recreation Area and the picturesque lakes and rivers that form the critical Chain of Lakes watershed remind us that land is not just a backdrop to our lives, but a part of our very identity. 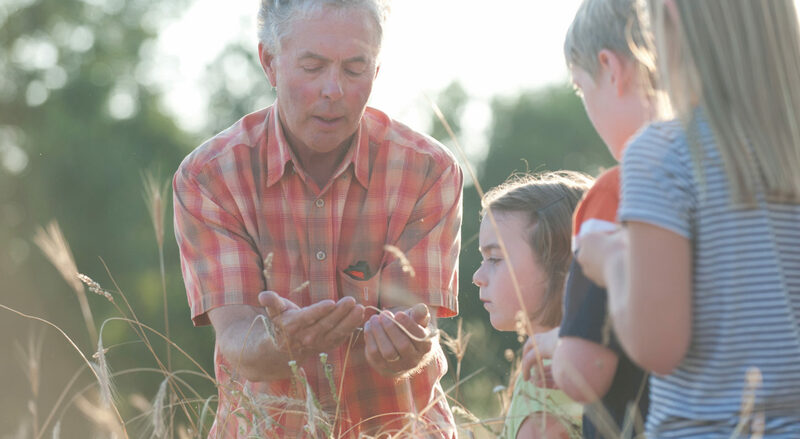 The natural resources of northern Michigan are why many of us are here, why our children and their children come back every summer and why the Grand Traverse Regional Land Conservancy was formed. It’s a quintessential Catch-22. The more “Top 10” lists the region makes as an emerging national vacationland and desirable place to live, the more pressure is put on the landscape to be something other than what draws people here in the first place. We are experiencing a perfect storm — an economy that has rebounded, a vibrant region where more and more people are drawn to live, work and play, and a dramatic increase in development pressure to accommodate our region’s growth. Without constant vigilance and action, our region’s signature natural areas — dunes, shorelines, meadows, open spaces and critical farmland — will be sacrificed to development. The very reasons why people love this area could disappear unless we act now to conserve the lands that are most important for water quality, food production, scenic beauty, wildlife habitat, outdoor recreation and community connections. The need to come together to protect our most important land and water resources has never been more urgent. Under immediate threat are critical forests, farms, shorelines and other natural treasures. We are working in all five counties in our service area to help communities protect and leverage natural resources to drive economic prosperity. It is fitting that the Grand Traverse Regional Land Conservancy responds to these challenges by accelerating our land protection efforts. We have a 27-year track record of success, protecting more than 41,000 acres of land and 125 miles of shoreline, an ardent board of directors, a highly trained and professional staff, a cadre of dedicated volunteers, and a constituency that is as passionate about the land as we are. In an unprecedented initiative to preserve our region’s natural resources, GTRLC has launched a comprehensive $71-million campaign to ensure the land we love is protected, its beauty retained and our legacy to our children is secured. The Campaign for Generations is a region-wide effort designed to make a truly transformative impact on our region for generations to come. With your help, this campaign will permanently protect some of the finest remaining land in our area and facilitate valuable access to nature for people of all ages and abilities. The rapid pace at which major land protection opportunities are appearing simply does not allow us to proceed on a project-by-project basis. By bundling numerous land protection and access projects together into a single, comprehensive campaign, we maximize our ability to complete the highest number of quality projects throughout our entire five-county service area. All lands targeted as part of this campaign will be protected permanently, either through direct acquisition or through a voluntary tool known as a conservation easement, which limits development on private lands. In addition, the Campaign for Generations is also designed to ensure our ability to care for these protected places forever. Please join us in supporting this historic effort and translate your love of the land into permanently protected shorelines, farmland, open spaces, parks and trails. Because you love the land…pass it on.